The Principles and Practices of Engineering (PE) exam is designed to assess your competency within your chosen engineering discipline, and passing it is a necessary step to becoming a Professional Engineer. The exam is challenging, and many students opt to take a PE exam prep course first in order to give themselves the best chance of passing the first time. We’ve compiled a list of the best PE exam prep courses to help you find the one that’s right for you. Our research team looked at 13 of the most popular PE exam prep courses to determine which are most useful for preparing for the exam. We focused on courses that are available nationwide and offer programs for the most popular PE exams — civil, electrical, mechanical and chemical. Each program was evaluated based on its comprehensiveness and the quality of the study materials it provides. We also spoke to students of each course to learn how well they felt the company supported and prepared them. Right now until May 23rd, you can save $500 on top rated PE courses from PPI. We ended up with three finalists after analyzing all of our data. PPI was our favorite because it offers the largest selection of courses and covers all the key material thoroughly. Independent learners interested in a self-paced program may prefer one of our other finalists, though. We recommend checking out all of your options before making any decisions to ensure you find the program that best fits with your schedule, budget and learning style. If you are looking for Fundamentals of Engineering preparation courses, you can head over to our Best FE Exam Prep Courses resource. Our top three PE exam prep course providers are listed below, followed by the other 10 companies we considered. Click on the links to visit each company’s website and to see what we had to say about our finalists. We considered dozens of features when comparing the best PE exam prep courses. They broke down into four main categories — accessibility, course offerings, comprehensiveness and student support. In order to keep our recommendations useful to everyone, we only focused on courses that were available nationwide. Most of these are self-study courses that teach you the material either through a set of physical textbooks and workbooks or through an online learning portal. School of PE stood out the most in this category because it is the only one of our finalists to also offer live online and in-person courses. There may be other organizations that host in-person courses in your area as well, and these are worth looking into if you learn best in a structured classroom environment. There are several versions of the PE exam depending on which type of engineering you specialize in. Many programs only cover one or two types of the PE exam, and these companies didn’t make our final cut. Instead, we focused on those that offered courses in the most common engineering disciplines — civil, electrical, mechanical and chemical. Courses designed for other fields, like industrial or environmental engineering, were also a plus. School of PE did the best here as well with 11 different PE exam prep courses to choose from. Next, we evaluated each company based on how well they cover the key concepts that are going to come up on the exam. All of our finalists did well in this category, providing dozens of hours of instruction, plus practice questions and full-length exams. Practice exams are an especially important tool because they help you gauge how you’re doing and pinpoint the areas where you need more practice. A question bank is also useful for targeting problem areas, so you can focus exclusively on those questions until you master them. A good PE exam prep course enables students to quickly get the answers to any questions that arise. In a live class, you can ask your instructor, but often students in self-study courses are left to fend for themselves. Cognistar MGI breaks the mold, offering email and phone support to all its students, so you can get help with practice questions and clarify any misunderstandings. It also offers a pass guarantee, so if you fail your PE exam after completing one of its exam prep courses, you will receive a full refund for the course tuition. There are several types of PE exam prep courses out there, and the right one for you depends on your schedule, your budget and how you learn best. We’ve outlined the three main types below in order from least expensive to most expensive. Self-Paced: You purchase the study materials and review them at your leisure. Live Online: You log in to an online classroom and learn from a remote instructor. A self-paced course is best for driven, independent students who are good at keeping themselves on track. These courses may be your only option if your schedule doesn’t permit attending a live class. A live online class is great for students who prefer learning from an instructor but don’t have the time or ability to travel to a physical classroom every week. A live in-person course is best for students who live in or near a major city and prefer learning in a traditional classroom environment. PPI offers an impressive level of detail in every course and it offers programs tailored to every major engineering discipline. With an average of 68 hours of course time and additional homework and practice tools, you shouldn’t have any trouble mastering the PE exam material. PPI exam prep courses are more expensive than most, but the company offers a pass guarantee on all of its live courses, so you won’t have to pay to retake it again if you fail. PPI offers PE exam prep courses for chemical, civil, electrical, environmental and mechanical engineers. Within the chemical, electrical and mechanical disciplines, you can choose between several specialties so that your prep is tailored to the work you’re going to be doing. There’s also special Seismic and Surveying courses for California engineers. All courses are available as on demand video courses with a number of subscription options. Those who learn better in a classroom will want to consider the live online options available for all courses except the California civil engineering courses. Students in the live courses attend online classes twice per week. There are different times to accommodate different schedules. Your instructor walks you through 68 hours of lectures, problem-solving demonstrations and strategy sessions. You’ll also have access to your instructor during office hours if you need help outside of class. Students in both the live and on demand courses have access to video lectures, quiz generators and helpful exam tips in the online portal. Its courses are pricey compared to the other PE exam prep companies on this list, but if that worries you, you’ll be glad to know that all of its live classes come with a pass guarantee. If you fail the PE exam after completing the PPI prep course, the company will let you retake its on demand course free of charge. School of PE easily outstripped the competition in terms of course offerings and accessibility. It offers on-demand, live online and onsite programs for 11 different engineering disciplines, including civil, industrial and electrical engineering. Unlike most PE exam prep courses that are taught by a single instructor, School of PE courses are taught by several instructors, each of whom are experts in the subject matter they’re teaching. School of PE offers PE exam prep courses in architectural, chemical, control systems, civil, electrical, environmental, industrial, mechanical and petroleum engineering. There are also special courses for California residents to prepare them for the CA Seismic and CA Surveying exams. All courses except the latter two are available in a live online format, and many are available on demand as well for students who prefer to move at their own pace. If you’re interested in civil engineering, you can opt for an in-person course instead. School of PE hosts onsite courses in major cities of 46 states nationwide. Course length varies from 60 to 80 hours, depending on your program. Each course is taught by a group of Professional Engineers that specialize in the area they are teaching, so you know you’re learning from the best. Classes are broken down into two sections — refresher sections and workshop sections. The refresher sections make up 60 percent of the course and review the key concepts that will likely appear on the exam. You will also work through some theory problems. The workshop sections consist exclusively of practice problems. These questions are usually more challenging and require numerical solutions. Your instructor will walk you through how to approach each one, and you can ask questions about anything you don’t understand. Outside of class, you can send questions to your instructor via email or post them to the course’s discussion forum. Responses are usually prompt. If you need to go back and review something talked about in class, you can do so through your online account. All lectures are recorded and made available within 24 to 48 hours of the lesson, and they remain available up until your test day. These videos are mobile-friendly, so you can watch them on the go if you need to. And should you study your hardest and still fail the exam, School of PE will enable you to retake the course free of charge. Best for affordable PE exam prep. Brightwood Engineering Education offers six different self-paced PE exam prep courses taught through on-demand video or physical textbooks. Unfortunately, they don’t offer any instructor support if you run into questions, but what they lack in support, they make up for in affordability. Brightwood is easily the cheapest PE exam prep company on this list, and you can purchase all of its study materials individually or in a bundle for added savings. Brightwood offers physical study materials for chemical, civil, electrical power, electrical and electronics, environmental and mechanical PE exams. Civil and electrical power courses are also available through Brightwood’s online web portal. These courses cover the same materials, but they do so through a series of pre-recorded video lessons taught by a Professional Engineer who specializes in that field. You can watch these videos as many times as you’d like during your six-month access period. All courses are designed to help you review the key terms and concepts that will appear on the exam and teach you techniques to solve common problems. The textbooks guide you through all the important material in a clear and organized way with plenty of examples that demonstrate how to approach certain question types. Once you feel that you’ve got a good handle on the material, you can test yourself with practice questions from the workbook. The textbook and workbook can be purchased separately, but you get the best deal if you bundle them together. The tradeoff for this low price is that there isn’t an instructor around to help you if you come across something that is confusing. The company also doesn’t offer a pass guarantee. But if you’re comfortable teaching yourself, Brightwood may still be a good choice for you. Its materials are comprehensive and easy to follow, and they do a good job of preparing you for the breadth portion of your PE exam. We wanted to create a useful resource for all engineers planning to take the PE exam. So we put together this list of answers to some of the most common questions about the test. If there’s anything else you’d like us to add, feel free to reach out and let us know. The first step to registering for your PE exam is to ensure that you meet your state’s licensing requirements. Usually, this includes holding an appropriate degree and having several years of professional experience under your belt. You may also have to submit an application with an accompanying application fee before you are eligible to sign up for your test. Once your application has been verified and approved by your state board, you will be granted permission to register for the exam. 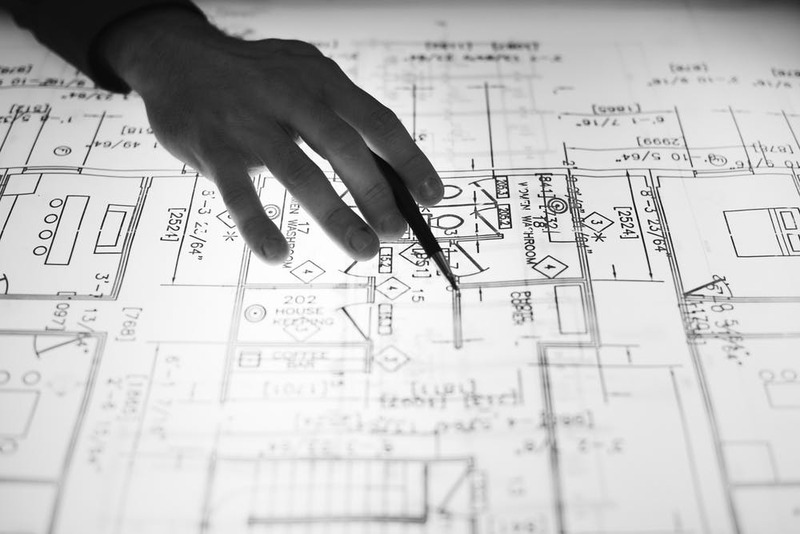 If you’re unsure what your state’s requirements are, you can check with its Board of Professional Engineering or visit the National Council of Examiners for Engineering and Surveying (NCEES) website. Once you’ve received state approval, you can create an account with NCEES and register for the exam. Paper-based exams are available twice per year in April and October. Registration closes for each at the end of February and August, respectively. The Chemical PE exam is the only one that is available as a computer-based test and you can sign up for this year-round. When you register, you must pay the examination fee — $350 for paper tests and $375 for computer-based tests — in order to hold your place. Once you’ve done this, you will receive an email confirmation from NCEES. Upon your arrival at the testing center, you must present a valid, government-issued photo ID to the exam proctor. The examiner will inspect it and help you find your assigned seat. Make sure you arrive a little early to give yourself time for these check-in procedures. You are permitted to bring snacks, wristwatches a magnifying glass, two straight edges and an approved calculator. Reference materials are also allowed as long as they are bound together and remain bound during the exam. Loose-leaf paper is not permitted. For a full list of test-day rules and procedures, visit the NCEES website. Most PE exams consist of two four-hour sessions separated by a lunch break. The morning section is a breadth exam and the afternoon section is a depth exam, focusing on a specific area of the discipline. Each section consists of 40 multiple-choice questions. The exception is the Civil Structural exam, which takes place over two days, with multiple-choice breadth exams in the morning and essay depth exams in the afternoons. There is no set number of questions that you must get right in order to pass. It varies from one testing administration to another. In order to account for differences in difficulty between the different versions of the exam, NCEES uses a process called equating. This assigns a weight to each question based on its difficulty, so that the passing score for each exam demonstrates the same level of knowledge. There is no penalty for incorrect answers, so it’s always best to guess if you’re not sure of an answer. Results for computer-based tests are available through your online account within seven to 10 days of the exam. Paper test takers will have to wait eight to 10 weeks for their scores to be released. Most exams are graded by a machine, though a handful are graded by humans to ensure accuracy. You can request that your exam be graded manually, but this costs extra. What if I fail the PE exam? The PE exam is a difficult test, and it’s not common to fail on your first attempt. If you do, don’t worry. You can always take it again. As paper-based tests are only available twice per year, you’ll have to wait until the following April or October to try one of these again. Computer-based tests may be taken year-round, but you can only take the exam once every quarter and a maximum of three times per calendar year. When you receive your grade, you’ll also be given a diagnostic score report that shows how you did in each of the knowledge areas tested on the exam. It will show you how many questions were in each category, how many you got right and how that compares to other test takers. It also recommends which subjects you ought to review before you take the test again. Study each of these areas thoroughly and work on practice questions for each until you feel confident that you can pass them this time. When you’re ready to retake the exam, you must register for a new test date with NCEES. Unfortunately, you must also pay the $350 or $375 exam fee again. Some states may impose additional restrictions that limit how often you can take the exam. After repeated failures, you may be required to resubmit your application to your state Board of Professional Engineering or log additional hours of professional experience before you try again. To learn more about retake procedures, visit your state Board of Professional Engineering website.